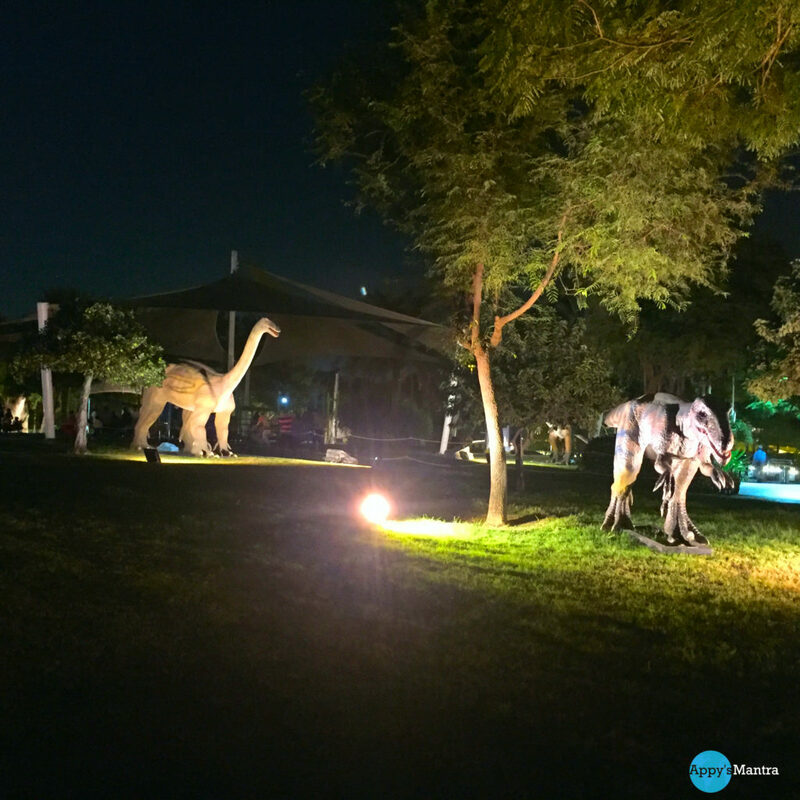 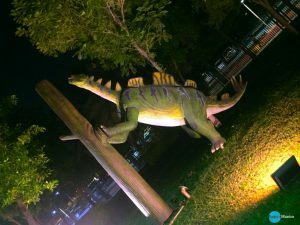 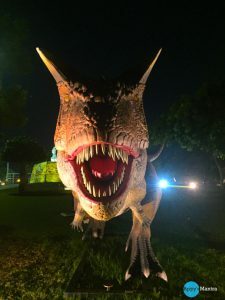 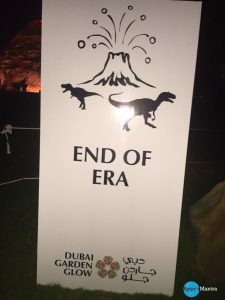 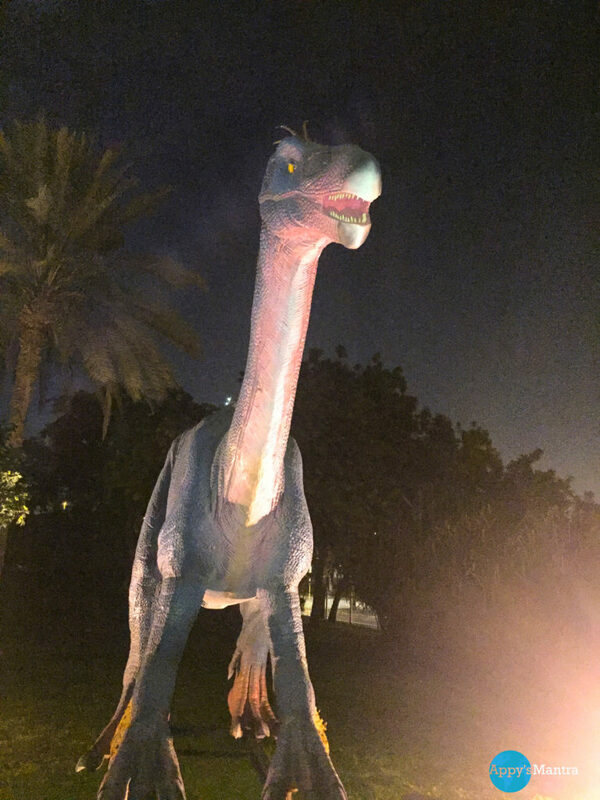 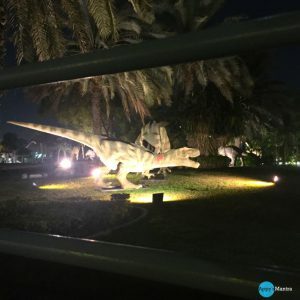 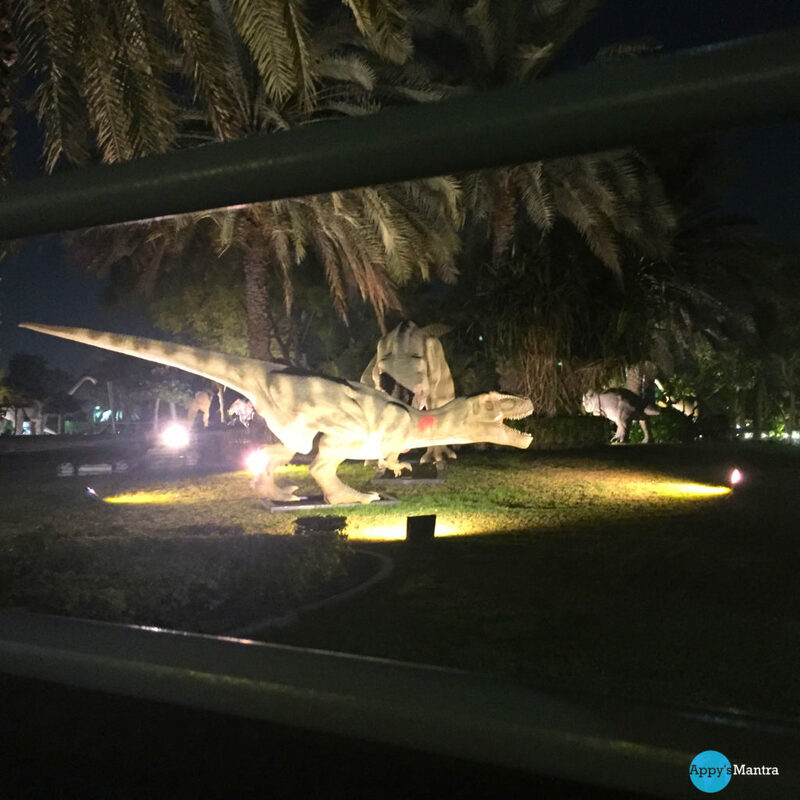 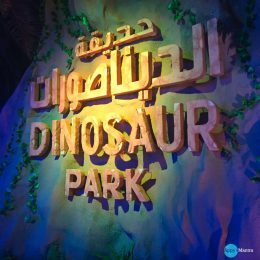 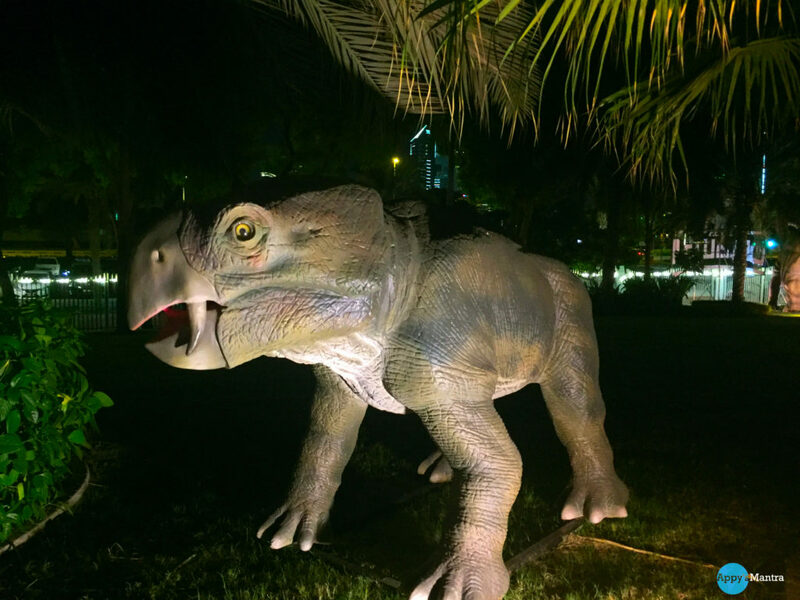 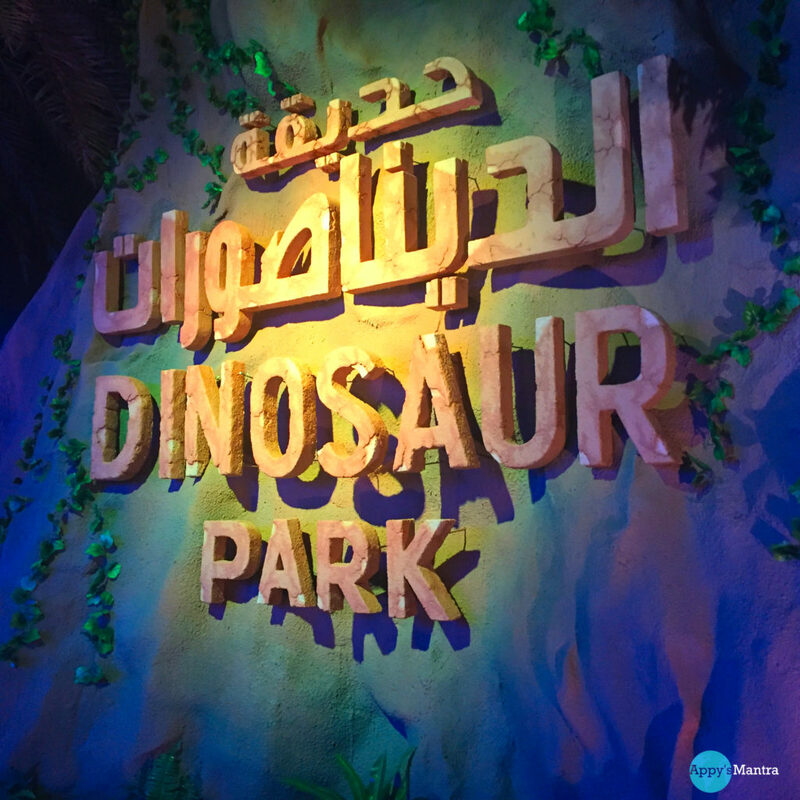 The Place opens up to a Dinosaur park and museum, trust me, you don’t want to miss this. 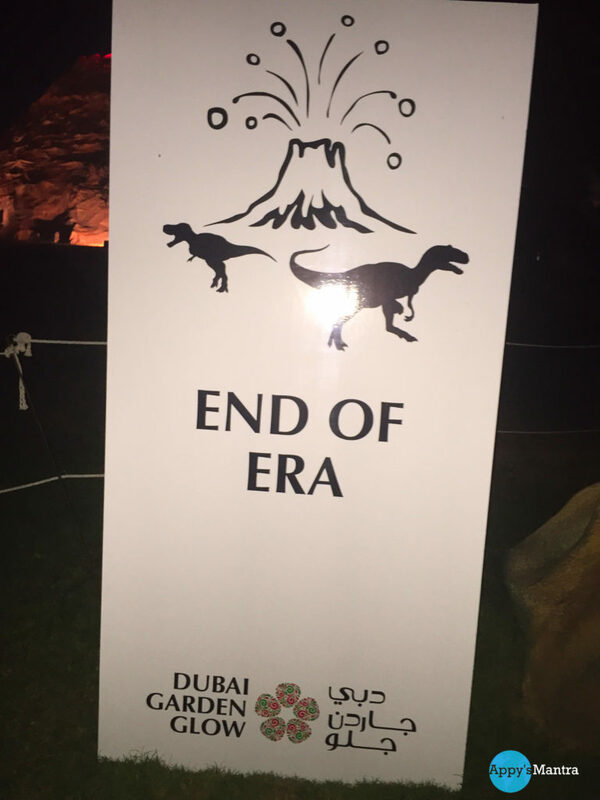 They have tried to showcase the Dinosaur era, with huge life-size real looking dinos. 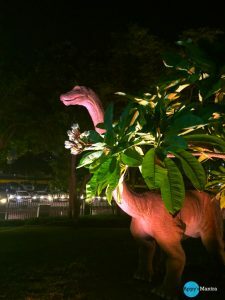 Moving forward you can expect glowing animals, trees, flowers, different kind of objects. 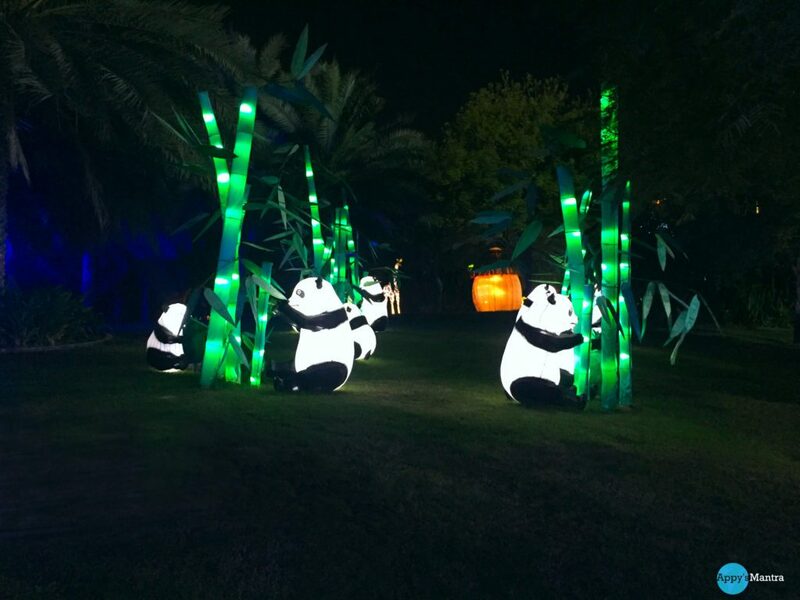 This place comes alive when the sun goes down. 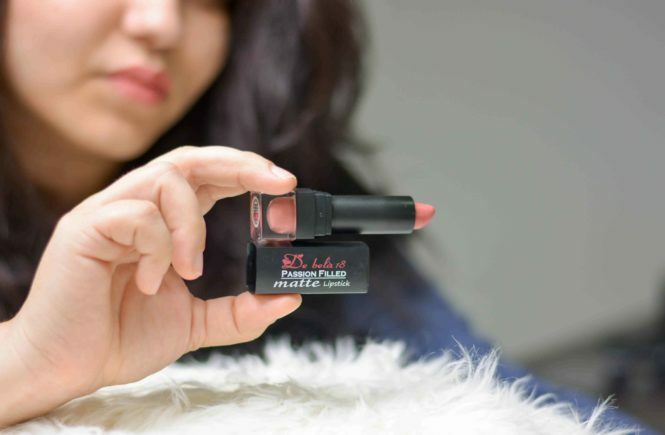 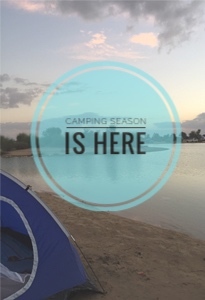 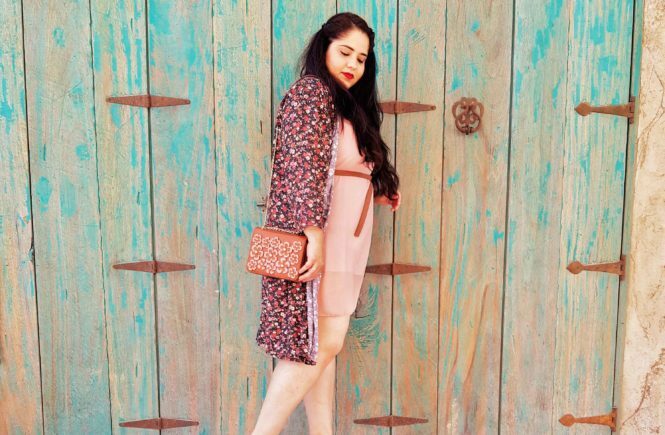 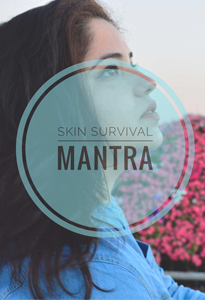 It lights up bright, glowing and to an eye-opening beauty. 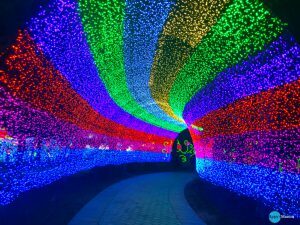 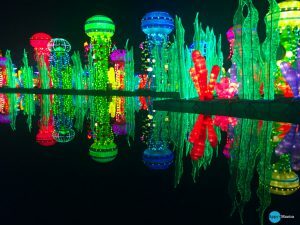 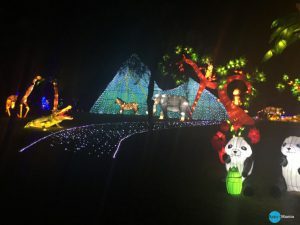 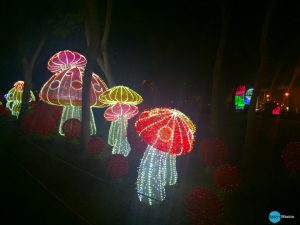 From dino park to talking tree, from animals land to Glowing tunnels, each and every place glows and it glows beautifully. 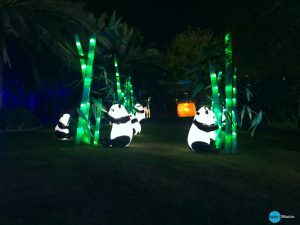 You will also find a lot of food stalls to keep you going around the park. 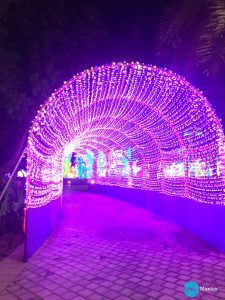 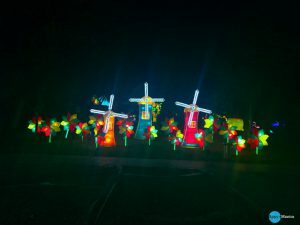 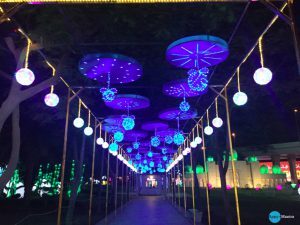 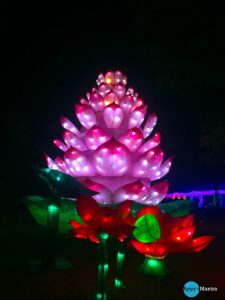 The Park is made from Eco-friendly materials with low-intensity consumption lights which make it an Eco-Friendly Park as well. 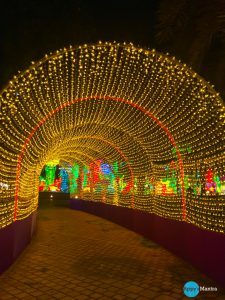 Timings are 4pm to 12pm from Saturday to Wednesday and 4PM to 1AM on Thursday, Friday and public holidays until April 30th. 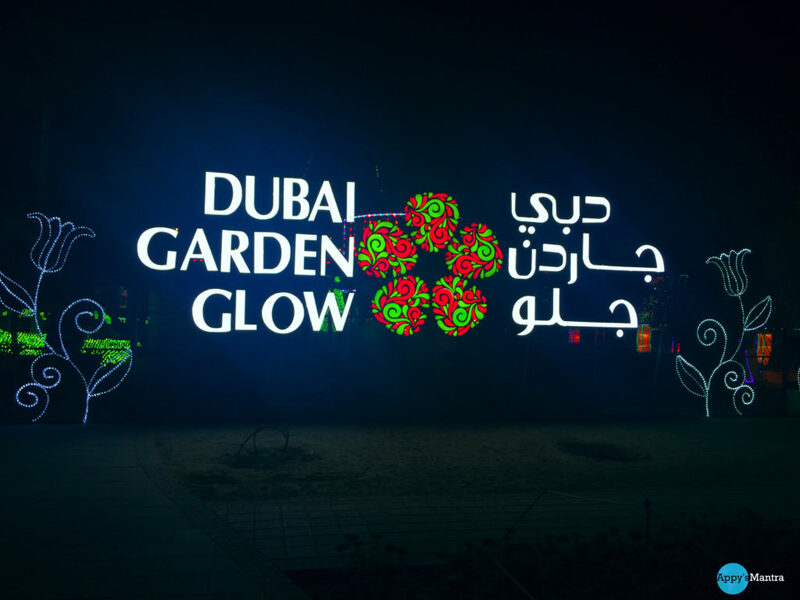 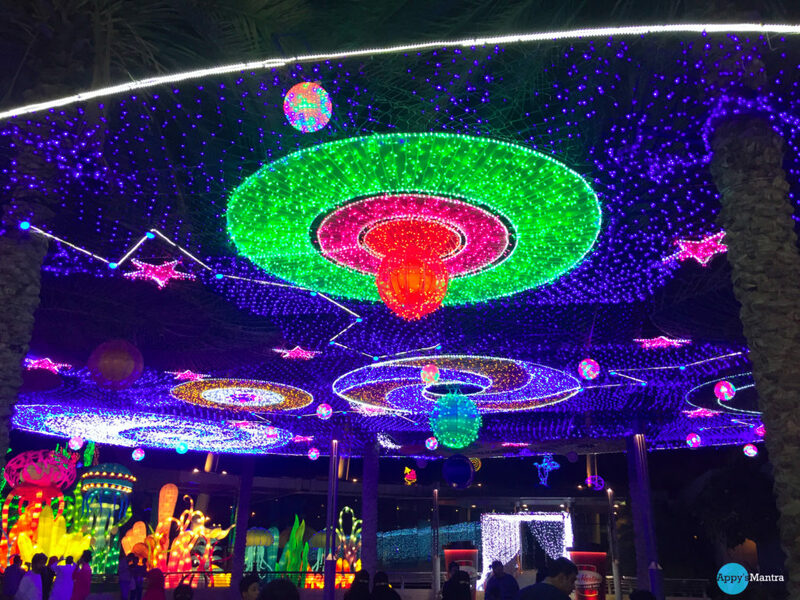 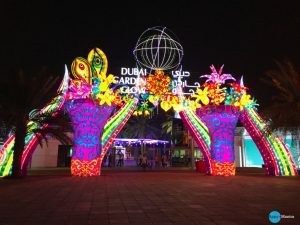 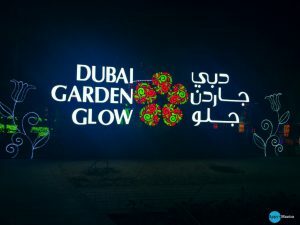 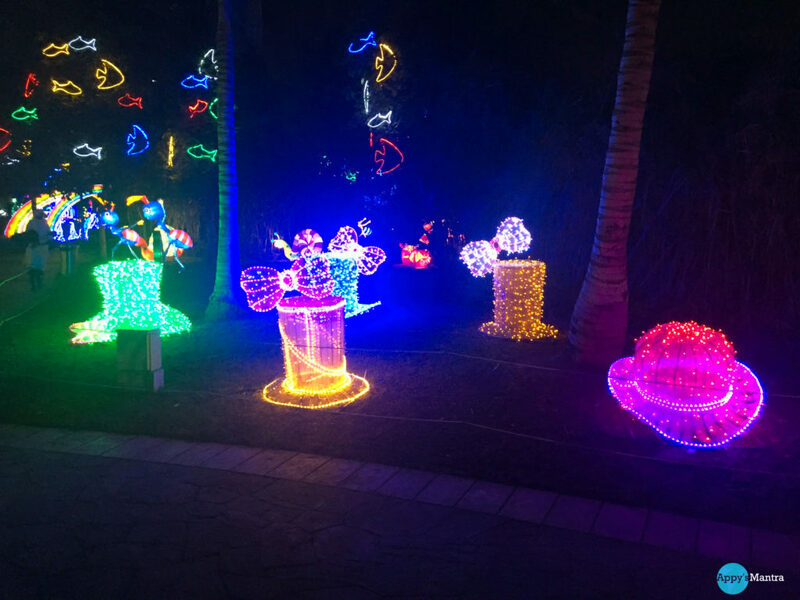 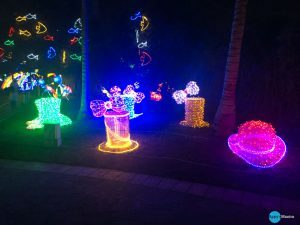 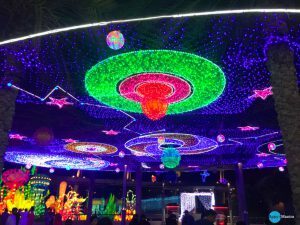 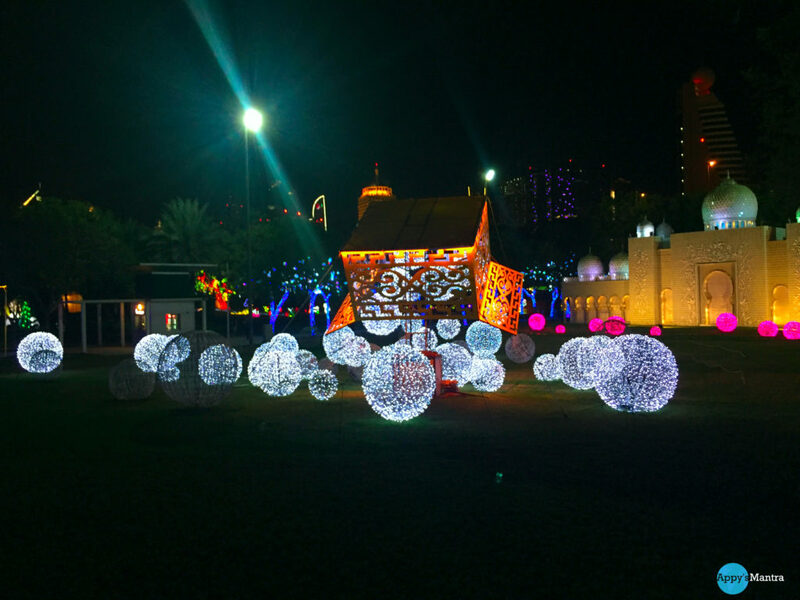 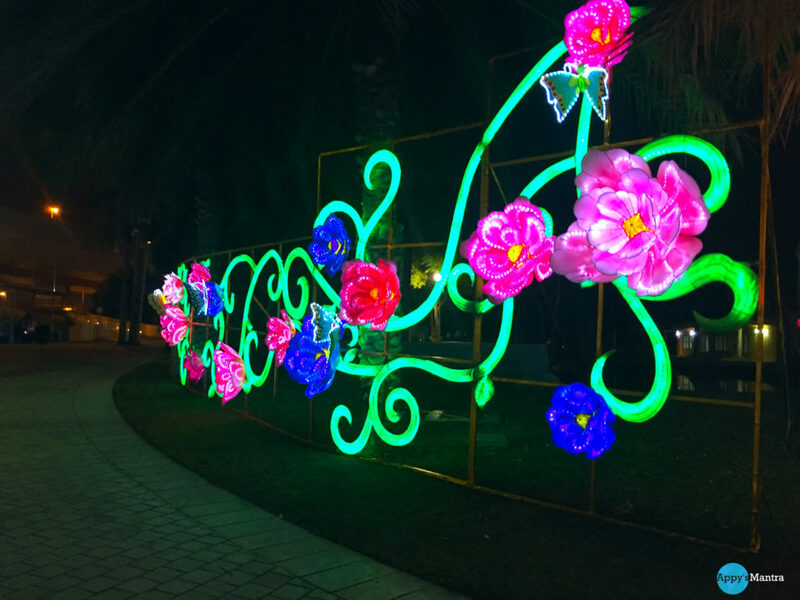 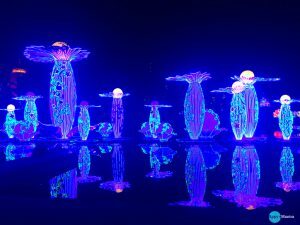 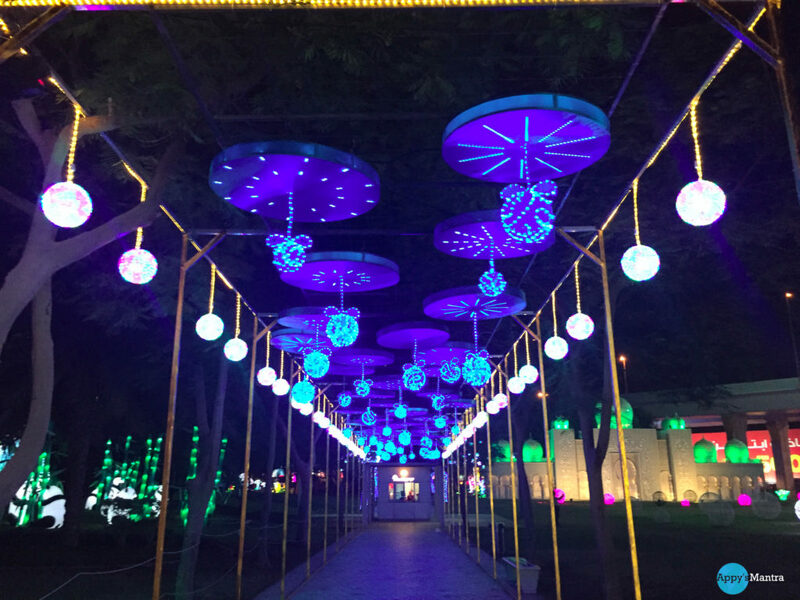 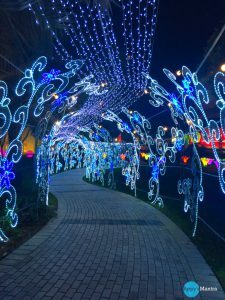 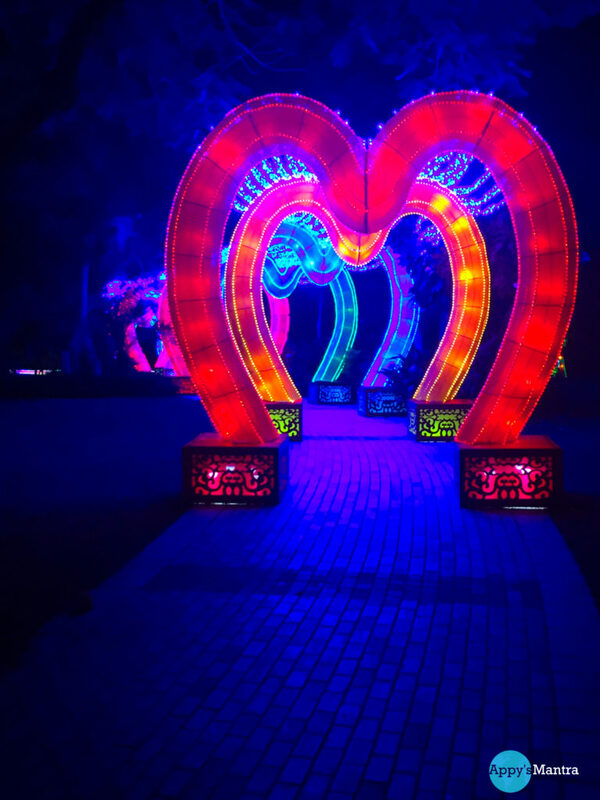 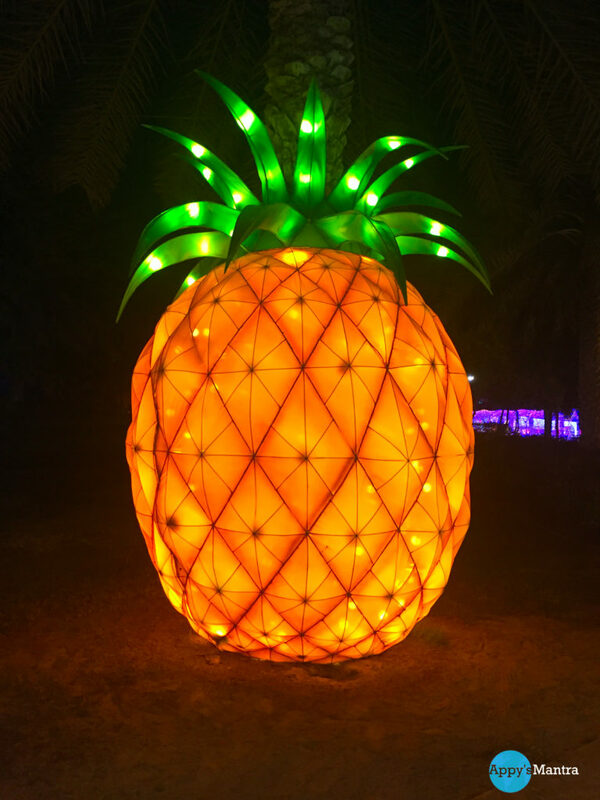 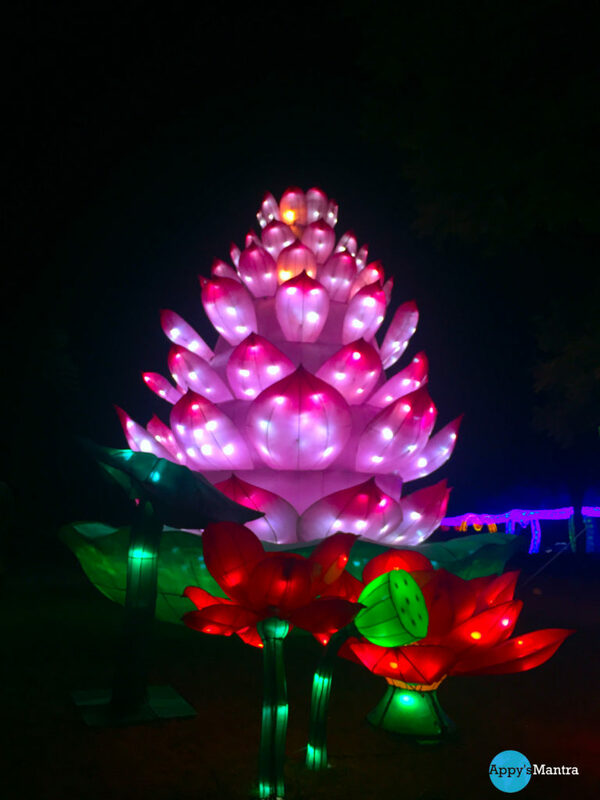 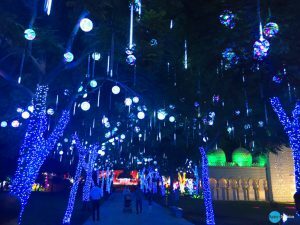 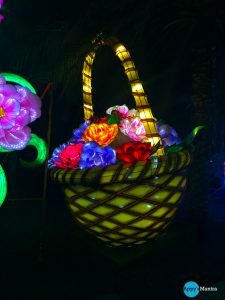 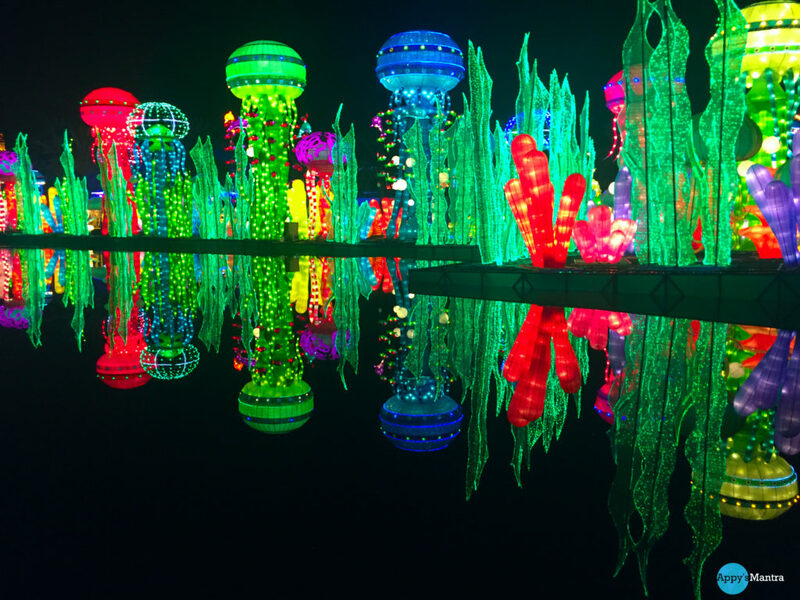 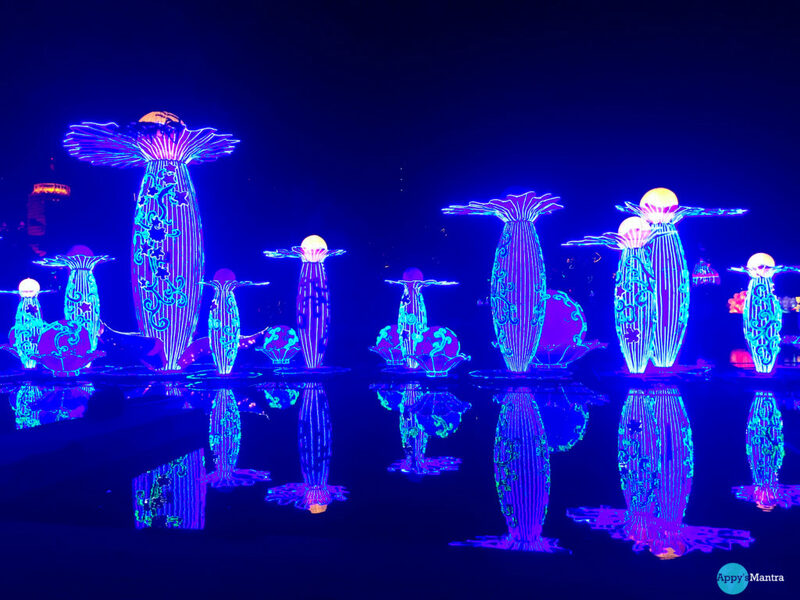 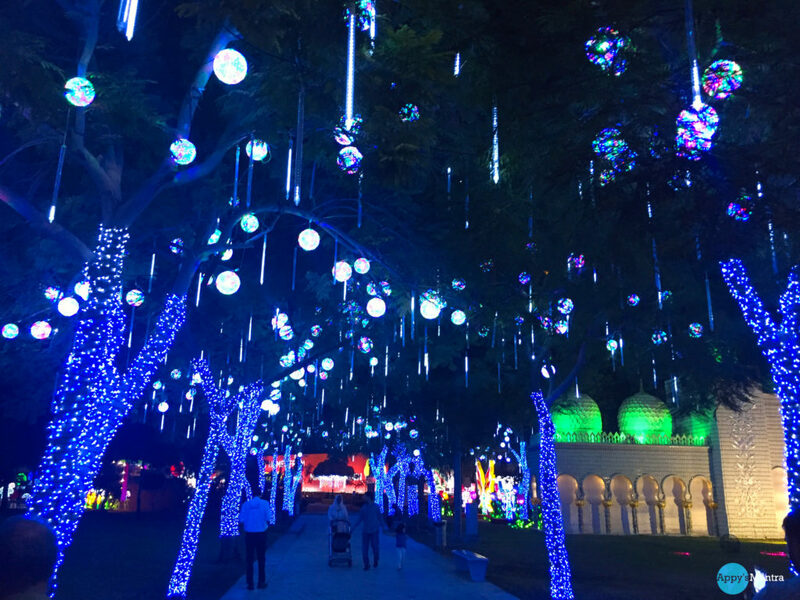 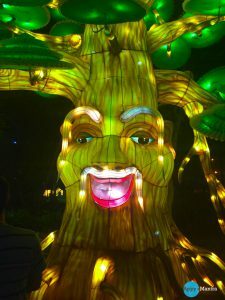 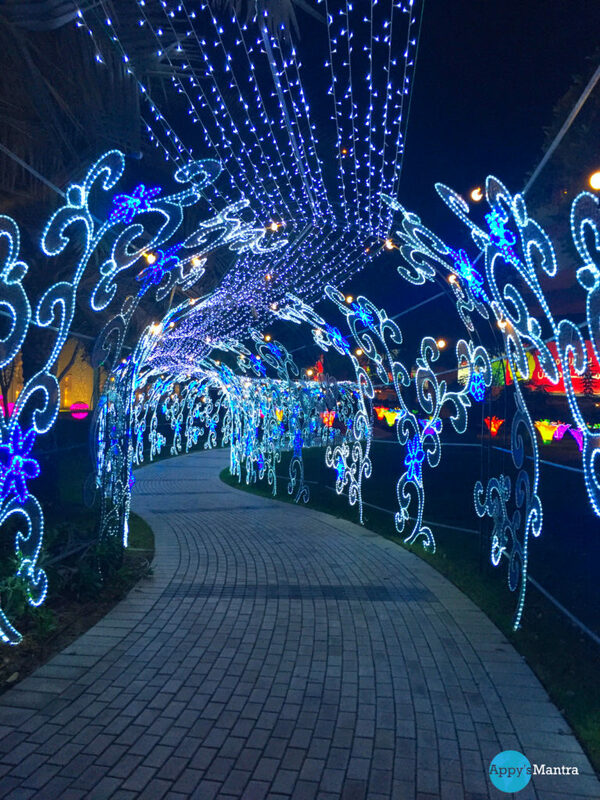 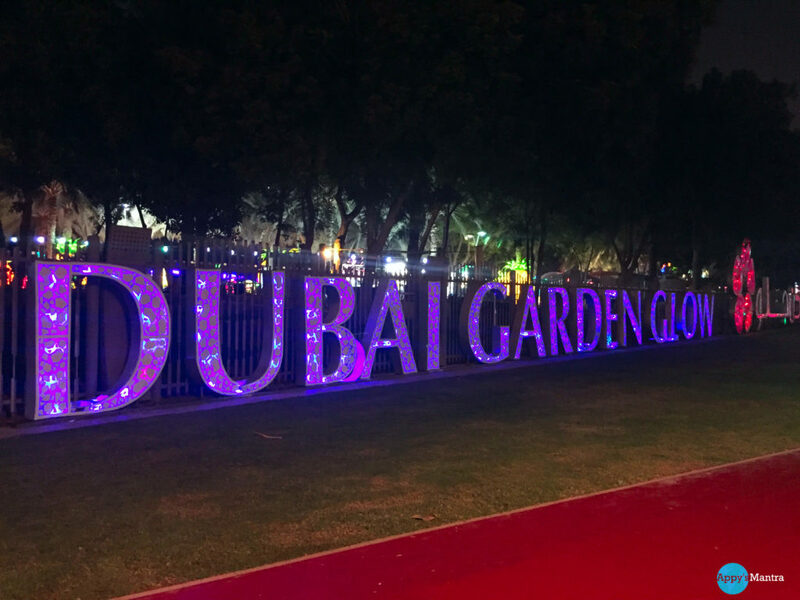 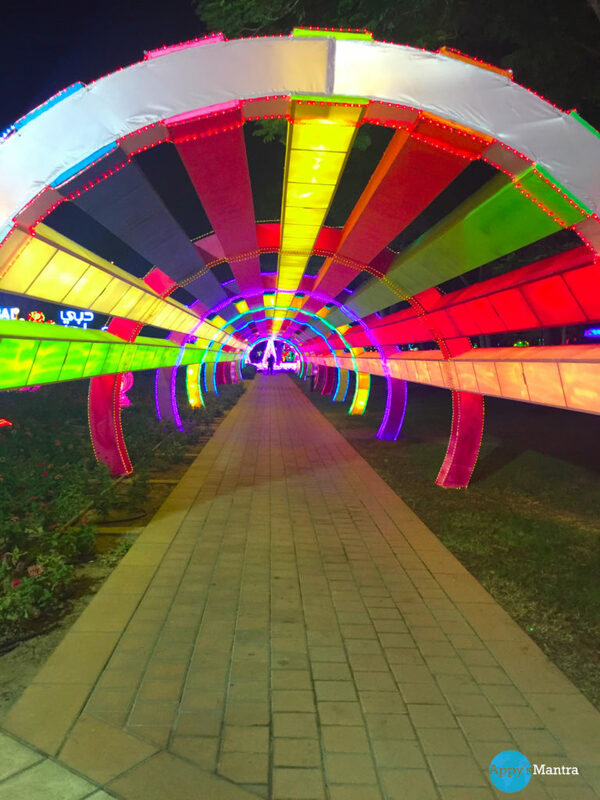 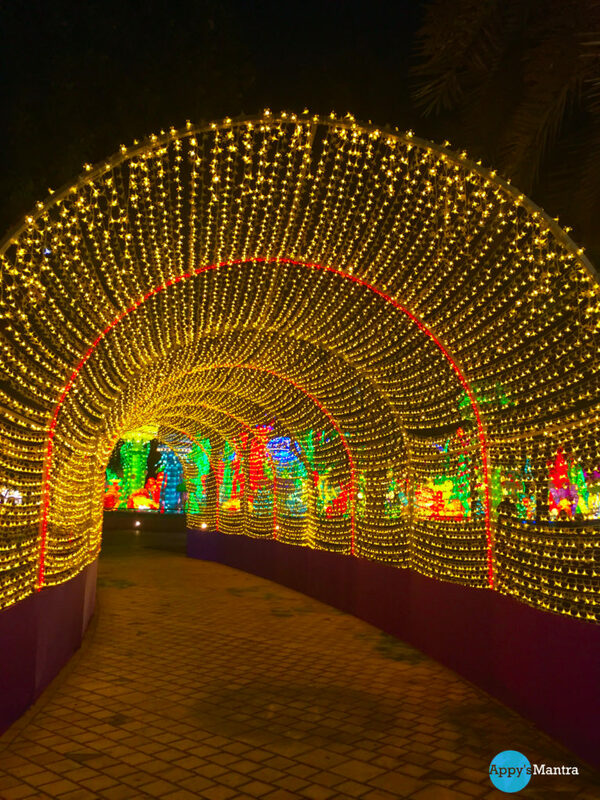 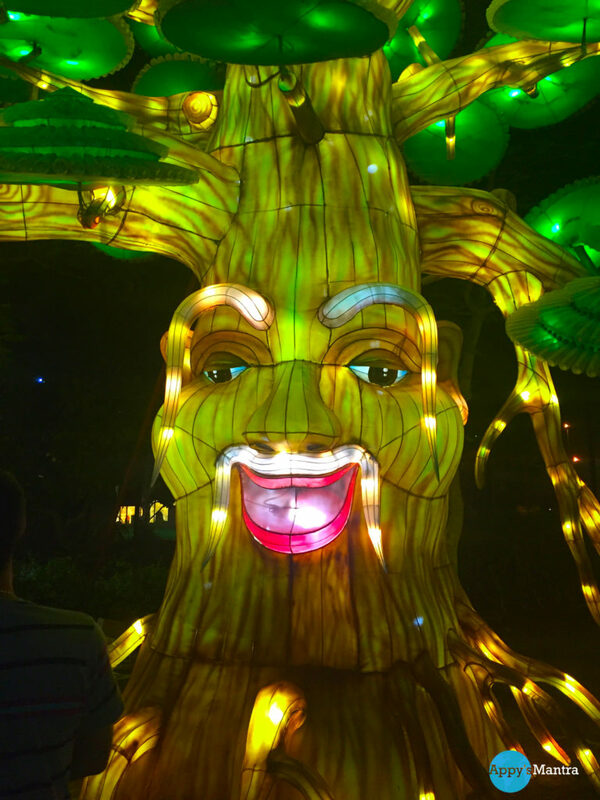 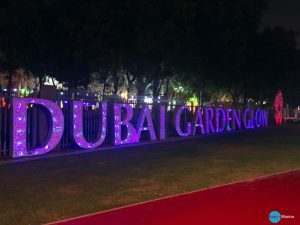 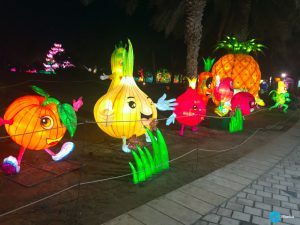 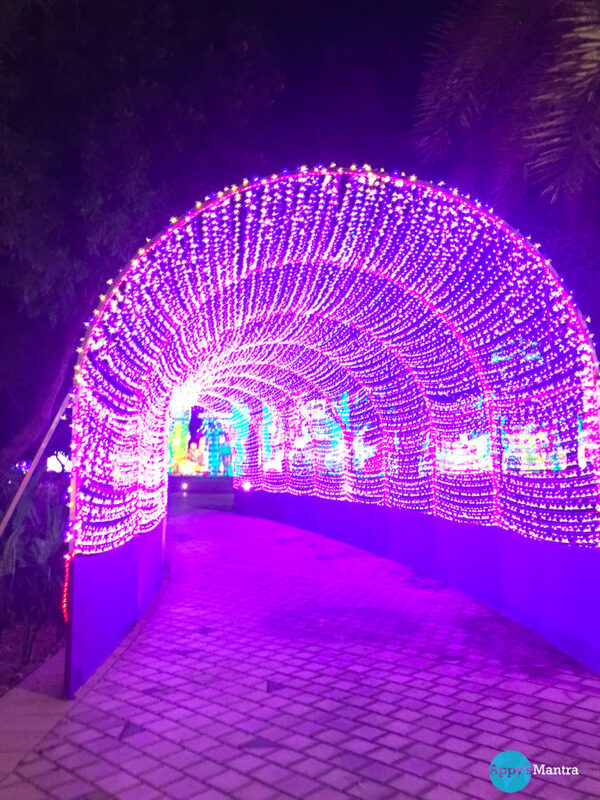 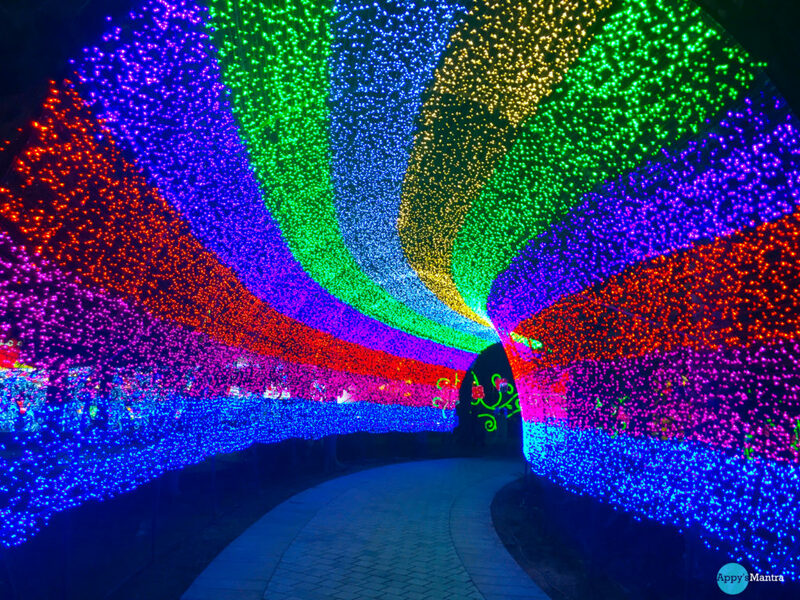 With 60 DHS of entry fees and free for kids under the age of 3, Glow garden is not just a park, it is an experience you will remember and recommend to others as well.